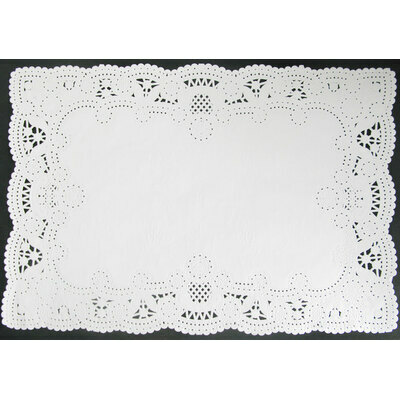 Add a touch of style and elegance to meal times with these Tray Papers. Finished with a detailed lace border, each bleached kraft paper sheet can be laid into dinner trays to help absorb spills and offer a professional finish. Suitable for dinner times, they can also be used for crafting activities - adding to their versatility and economic placement within your budget. Finally, the large and cost-effective pack size ensures you'll be fully prepared for the next dinner party. Here at Gompels, we have a wide range of napkins, table covers and cutlery in our Tableware & Napkins category.